Find the best loans based on your credit data with CreditMatch. ConsumerInfo.com, Inc. Commercial Email. If you prefer not to receive emails from us about offers and Promotions please unsubscribe via the unsubscribe link in an email, or Contact Us. Alternatively, you may opt-out of commercial email directly on the order form while placing a new order. Cookies. Subject to the section above pertaining to cookies and similar technologies, you have the ability to prohibit being served an advertisement based on cookie technology. We utilize reputable third-party vendors to serve advertisements. If however, you are not comfortable with cookies, you can adjust the settings within your browser to further prohibit being served a cookie. Please see the browser's instructions to perform this task. Additionally, the Digital Advertising Alliance (DAA) has developed an opt-out tool with the express purpose of allowing consumers to "opt-out" of the targeted advertising delivered by participating companies. We may share anonymous or de-identified information with such companies for the purposes of delivering targeted advertising; however you may visit the DAA opt-out page and opt-out of this cookie tracking if you do not wish to receive targeted advertising. Please visit: for more information. If you have any questions regarding this Policy, please Contact Us. Please note that email communications will not necessarily be secure; accordingly you should not include credit card information or other sensitive information in your email correspondence with us. 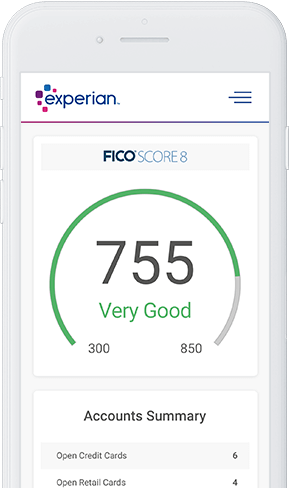 Should you have any questions regarding the Membership Program provided by the Master Policyholder, or wish to view a complete copy of the Master Policy, please call the Experian Customer Care Hotline at 1-866-960-6943. To report a Stolen Identity Event, please call Experian Membership Support at 1-866-960-6943 to be transferred to the Master Policyholder´s Fraud Resolution Unit. If the Master Policy is terminated, your benefits will cease effective the date of such termination. It is the obligation of the Master Policyholder to inform you of any termination of the Master Policy. Costs incurred by you for elder care or child care incurred as a result of the insured´s efforts to amend or rectify records as to the insured´s true name or identity. Coverage is limited to wages lost within twelve (12) months after your discovery of a Stolen Identity Event. Costs associated with the use of any investigative agency or private investigator engaged to amend or rectify records as to your true name or identity as a result of a Stolen Identity Event. We reserve the right to select such investigative agency or private investigator; however, with our express prior written consent, you may select such investigative agency or private investigator. Criminal defense for charges brought against you as a result of a Stolen Identity Event. However, we will only pay for this after it has been established by acquittal or dropping of charges because you were not in fact the perpetrator. Challenging the accuracy or completeness of any information in your tax history as a result of a stolen identity event. It is further agreed that solely with respect to subparagraph (d) you, with our express prior written consent, may select such attorney. A Stolen Identity Event means the fraudulent use of your name, address, Social Security number, bank or credit card account number or other personally identifying information or other method of identifying you. This includes, but is not limited to, the fraudulent use of your personal identity to establish credit accounts, secure loans, enter into contracts or commit crimes. Stolen identity event shall include Medical identity theft. Medical Identity Theft means the theft of the insured´s personal or health insurance information to obtain medical treatment, pharmaceutical services or medical insurance coverage. Medical identity theft also means the theft of the insured´s personal or health insurance information to submit false claims for medical services or goods. A Stolen Identity Event does not include the theft or unauthorized or illegal use of y our business name, d/b/a or any other method of identifying your business activity. The principal amount, exclusive of interest, incurred by you and caused by an Unauthorized Electronic Fund Transfer first occurring during the policy period. However, such principal amount shall not include any amount for which you did not seek reimbursement from the financial institution which issued the access device and holds the account from which funds were stolen, and for which you have not received reimbursement from any other source. An Unauthorized Electronic Fund Transfer (UEFT) is an electronic fund transfer from your Account initiated by a person other than you without the actual authority to initiate such transfer and from which you receive no benefit. An Unauthorized Electronic Fund Transfer (UEFT) does not include an electronic fund transfer initiated: 1) by a person who was furnished the access device to your account by you, unless you have notified the financial institution that transfers by such person are no longer authorized; 2) with fraudulent intent by you or any person acting in concert with you; 3) by the financial institution of its employee; or 4) from any business or commercial account. Account means a cash, credit card, demand deposit (checking), savings or money market account of yours held directly or indirectly by a financial institution and established primarily for personal, family or household purposes. Subject to the Master Policy's terms, conditions and exclusions, the Master Policy provides benefits to you only if: (1) you report a Stolen Identity Event or an Unauthorized Electronic Fund Transfer to the Master Policyholder at the contact number stated above as soon as you become aware of a Stolen Identity Event or a Unauthorized Electronic Fund Transfer, but in no event later than ninety (90) days after the Stolen Identity Event or Unauthorized Electronic Fund Transfer is discovered; and (2) you follow the instructions given to you by the Fraud Resolution Unit. These instructions will include notifying major credit bureaus, the Federal Trade Commission's Identity Theft Hotline and appropriate law enforcement authorities. You will also be provided with a claim form and instructed how to file for benefits under the policy if the Stolen Identity Event or Unauthorized Electronic Fund Transfer results in losses covered under the policy. You will only be covered for a Stolen Identity Event if a Stolen Identity Event is first discovered while you are a member of the Master Policyholder's insured program and is reported to us within ninety (90) days of such discovery. You will only be covered for an Unauthorized Electronic Fund Transfer if an Unauthorized Electronic Fund Transfer first occurs while you are a member of the Master Policyholder's insured program and is reported to us within ninety (90) days of such discovery. You will not be covered if the Stolen Identity Event or Unauthorized Electronic Fund Transfer first occurs after termination of the master policy or termination of your membership in the Master Policyholder's program. The Lost Wages, Travel Expense, and Elder Care/Spousal Care/Child Care Limits of Insurance shown above are sublimits of the Aggregate Limit of Insurance and the most we shall pay you for lost wages, travel expense, and elder care/spousal care/child care. We shall be excess over any other insurance, including, without limitation, homeowner´s or renter´s insurance. If you have other insurance that applies to a loss under this policy, the other insurance shall pay first. This policy applies to the amount of loss that is in excess of the Limit of Insurance of your other insurance and the total of all your deductibles and self-insured amounts under all such other insurance. In no event shall we pay more than our Limits of Insurance as shown above.